Kovalam, Located 16 km away from the state capital Thiruvananthapuram (Kerala), is awesomely beautiful and a heaven of serenity. 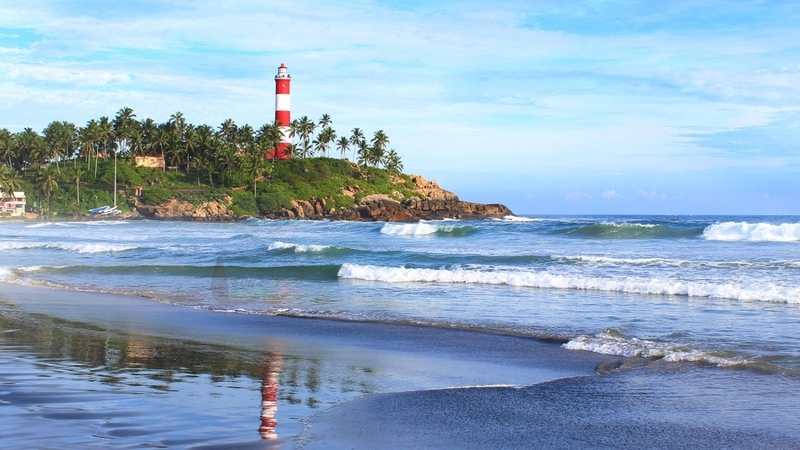 It's a pleasant tourist spot in 'God's Own Country'.Kovalam has created its presence on the worldwide tourist map, due to its clean and bizarre beaches lined with glittering sand and tall light houses. The privy coves, sun kissed beaches, and the coastal towns of Kovalam enliven with its freshening up nature and the pristine atmosphere. It's divided into two main beaches namely the Eve's beach and the Lighthouse beach. It offers the best facilities to its beach lovers like swimming, Ayurvedic massages, sunbathing, special cultural programmes and catamaran cruising are some of them. A massive rocky/promontory on the beach has created a beautiful bay of calm waters ideal for sea bathing.The beach complex includes a string of budget cottages, Ayurvedic health resorts, convention facilities, shopping zones, swimming pools, Yoga and Ayurvedic massage centres. The history and culture of this place are rooted in countryside that captivates large number of tourists to sightsee and revel in its mystical charm. The staggering blue waters of the Arabian Sea and the rocky headlands, makes this beautiful beach paradise. Honeymoon couples and beach lovers extremely love this beach as it offers romantic moments all along with plenty of activities for adventure and fun. 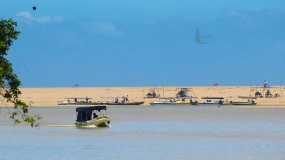 You can feel the pleasure of boat sail with your loved ones and discover the popular sights all around the beach. For the one looking for a fun adventure, Kovalam is the perfect holiday destination to hang up one's boots. The romantic and natural ambience of this beach not only adds spirit and lustre, but also makes the journey of life fascinating and memorable. One of the most special and exciting part of this place is fairs and festivals which captivate visitors from all across the world. So, you must not forget to experience the best cultures of the world at Kovalam. This place is quite appreciated due to its uniqueness and excellent culture that highlight in the festivals and fairs held in Kovalam. So, if you wanna take pleasure of these cultural festivals, then you must visit during the festive seasons as it would be the best time for you. The main festivals of Kovalam begin from January and ends in March. So, come and be a part of the popular fairs and festivals of Kovalam like Village Fair, The Elephant Festival, Food Festival, Nishagandhi Dance Festival, and Swati Thirunal Music Festival, etc. 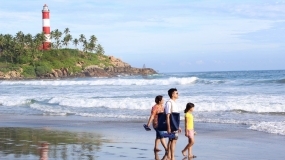 It is better to stay in Kovalam and visit the Capital city. The city has many interesting places to see like the Napier Museum, the Sri Chitra Art Gallery and the Padmanabhaswamy Temple. Edakallu is a famous sundown watching spot that can be seen between the Lighthouse Beach and the Eve's Beach. The SMSM Institute, a State owned handicrafts emporium, is the ideal place to pick up ethnic curios and other articles. So, come here and rejuvenate yourself and feel refreshed once again. Nightlife in Kovalam is extremely superb and full of excitement as it revolves around the many bars and restaurants. The beachfront is the wonderful spot to have delicious food at reasonable cost. Kovalam is exuberant in social entertainments and offers the exclusive chance to enhance you by experiencing a local Kathakali performance.